Quality, experience and a high level of professionalism are the hallmarks that distinguish us in the meat and commodities trade. In addition to the traditional line, over the years we have also expanded and consolidated our business with the production and marketing of commodities, such as spaghetti, tomato paste, palm oil and mackerel in tomato sauce. “At the heart of ALPI is an unbridled passion for what we do. We listen carefully to your needs in order to deliver a good and high-performing product for your market. Back in 1964 we began to operate in the meat marketing sector under the Alpi brand name, with our own network of retail outlets in Italy. At the beginning of the 80's the continuous development of the company led to the creation of a poultry slaughterhouse, determining the beginning of the process industrialisation era. As a consequence, we began to control the entire production chain and to serve the main wholesalers at a national level, operating on different European markets. In the '90s our constant development allowed us to become one of the main international operators. Thanks to our deep and detailed knowledge of raw materials and of the industry dynamics, we made the focus of our activities increasingly shift to import-export activities at a global level. The high level of professionalism and reliability characterising our business, has consolidated over more than half a century of activity, thanks to our deep and worldwide knowledge of both the markets and the products. In the '00s we expanded into the fishing industry as a trusted brand, thanks to our widely recognized know-how and credibility. 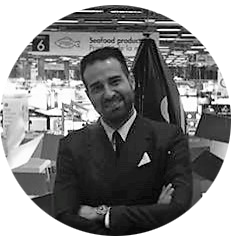 In this way, we created a network of operators at an international level, ensuring selective fishing from the best fishing areas at a global level. The quality of the products and the control of the entire supply chain allow us to supply top-level players, such as national and international supermarkets. Our long-term vision of business relationships has led us to the realisation of ALPI-branded distribution channels, expanding the partnerships which, together with our MEAT products, has led to the creation of the DRY FOOD line, e.g. spaghetti, tomato paste, palm oil and mackerel in tomato sauce. With our global network we operate in more than 70 countries on 5 continents, providing you with a team of professionals able to offer assistance at any time by foreseeing any need, managing any situation and solving any type of problem. Our goal is to ensure a quality service, no matter what happens. From the first telephone contact to the delivery of the product we are at your side. Always.